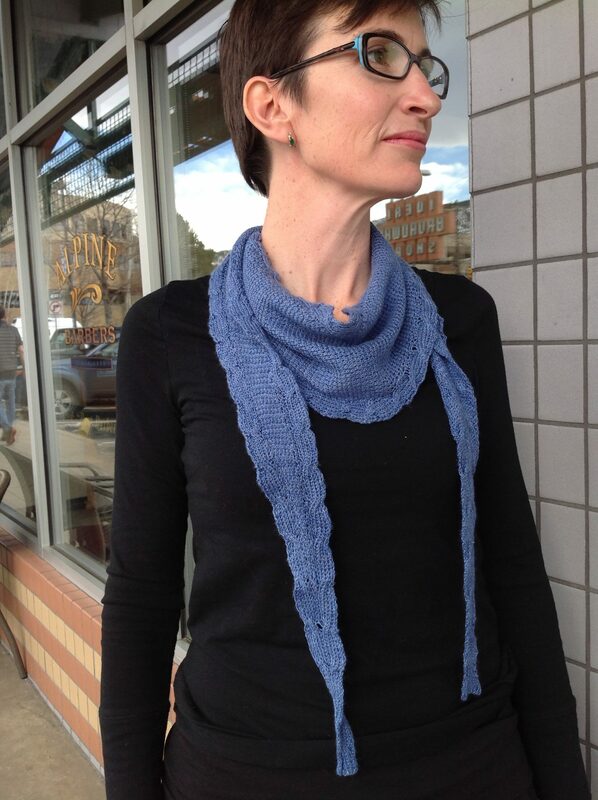 Inspired by a long, narrow triangular scarf that I wear a lot, this reversible scarf is light and drapey. It begins with a reversible 8-stitch cable bordered on each side by a single k1, p1 rib. This cable is increased to 20 stitches, then splits into two mirrored cables that provide a stable frame for the not-too-lacy interior, which increases by one stitch every four rows to the maximum width, then decreases by one stitch every four rows. The two cable panels merge together and the scarf ends with a single reversible cable to match the beginning. For a denser look, substitute garter stitch for the interior chain-lace pattern; for a lacier look, substitute yarnovers for the make-one (M1) increases in the chain lace pattern.